Perfect for a wide number of historical and fantasy characters, this Woodgrain Ready For Battle LARP Buckler features a design popular throughout the medieval and Renaissance periods for its maneuverability and range of uses. 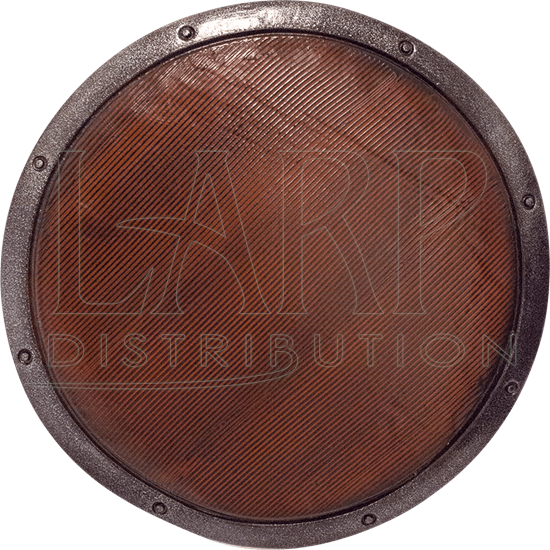 This round LARP shield displays a wood pattern over the front with a simulated metal strip with rivets around the edge. 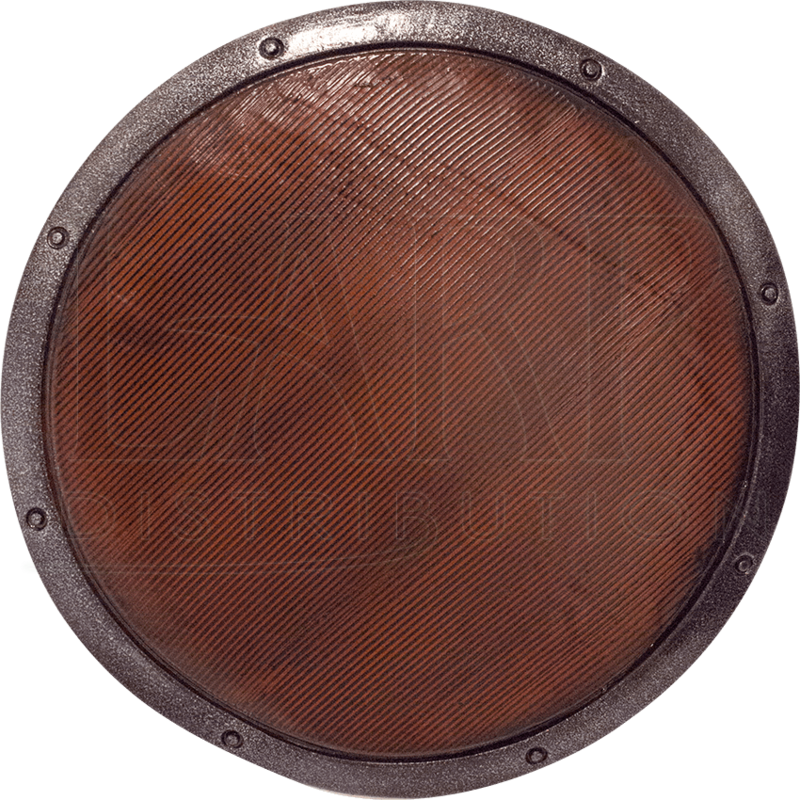 Crafted from hard EVA foam with a latex coating, this wooden shield offers excellent protection in battle. I actually bought this for my son so that he could have a costume light enough from him to carry around the Renaissance Festival this summer; he loves it. He hasn't worn it all yet, but he loves running around with this shield (and the axe I got him) wreaking terrible havoc in our home.